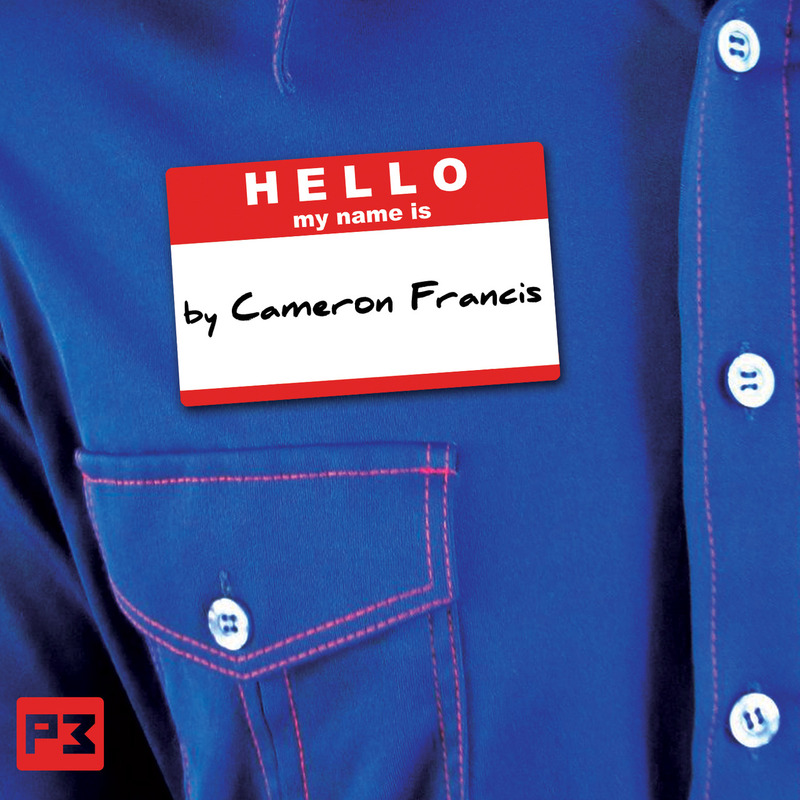 Today, when you order "Hello My Name Is by Cameron Francis", you'll instantly be emailed a Penguin Magic gift certificate. You can spend it on anything you like at Penguin, just like cash. Just complete your order as normal, and within seconds you'll get an email with your gift certificate. 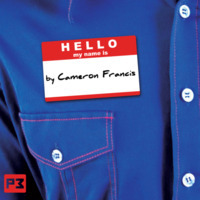 Hello My Name Is by Cameron Francis (DVD + Gimmicks) The PERFECT party trick. Totally impossible, multiple phases AND EASY TO LEARN. NOW SHIPPING. HIGHLY RECOMMENDED. Cameron Francis has created the perfect card to impossible location effect. A memorable easy to follow presentation, a visual card reveal and their SIGNED card is found in the most impossible way. All done under extremely close supervision. Then after all of that awesomeness you give the spectator an impossible souvenir. You introduce yourself and mention your name tag with your name on it. Then you have a card selected and SIGNED. The writing on the name tag visually changes into the name of their selection. Then as if that was not enough you peel the name tag off and their signed selection is attached BEHIND the name tag giving you the chance to give away the ultimate souvenir. Hello My Name Is has it all. A commercial presentation, visual elements and a huge impossibility factor. All combined in a direct easy to learn routine with expert instructions from a worker who uses this routine all the time. First of all, the effect is good and fairly easy to accomplish. There is a little bit of one-time setup, then you'll need to create a number of gimmicks if you are going to use this as shown with the card signed. Unfortunately, they only give you three cards to work with and three name tags, so if you're buying this thinking you'll use it tonight (as I did) you'll be very wrong. A quick trip to the office supply store got me the name tags I needed, but I didn't have the special deck. You CAN use a regular deck, and Cameron mentions he'll teach you how in the DVD but never does. You just have to double the name tags on the card and the backs won't show through, so you can make a regular deck work to save a little bit of money. For an effect like this (using a signed card), they should have included enough gimmicks to allow you to do the trick at least five times. It's not asking too much and wouldn't have added to the cost of production measurably. Or they should give you an idea in the description to go ahead and order this and that with it so you are ready to perform when you get it. Still, the effect is good and laypeople love it, so you won't be sorry you added it to your set. 12 of 13 magicians found this helpful. If your like me and wear a name tag at gigs, this trick will come in handy. It is super easy to do and making the gimmick only takes 10-20 seconds max. Although they dont provide you with much gimmicks, you can always make your own and will barely cost you anything. Do yourself the favor and invest in this trick. you wont regret it! I did not want to comment until I had a chance to actually perform this for multiple audiences. I can proudly say that this works nicely and that I actively use it. 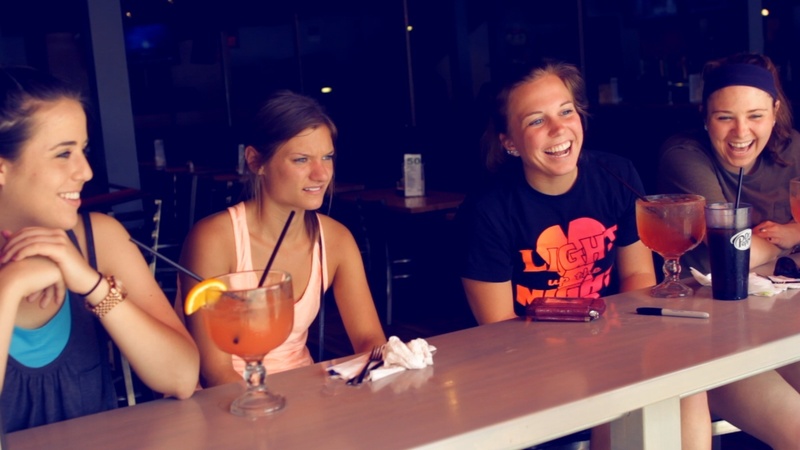 The DVD explains everything nicely and it performs exactly as portrayed on the demo video. Making the gimmick was extremely easy and I had no trouble quickly making a bunch as giveaways for some upcoming restaurant and strolling gigs coming up. Staples had the exact name tags needed. This is very well thought out, fun and easy to perform. 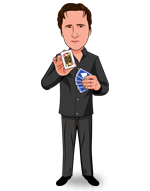 Turning their signed card into your name tag, that has been in full view from the beginning, is one of the strongest card tricks you can perform. Cameron Francis nailed it with this release by adding extra magical moments and turning it into a full blown performance piece. 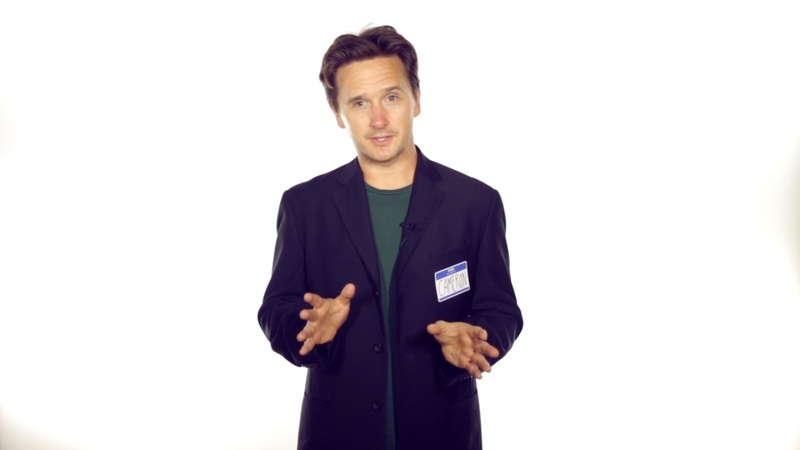 "Hello My Name Is" gold for workers performing at restaurants, banquets, walk around gigs, etc. But, it's also for Hobbyists! 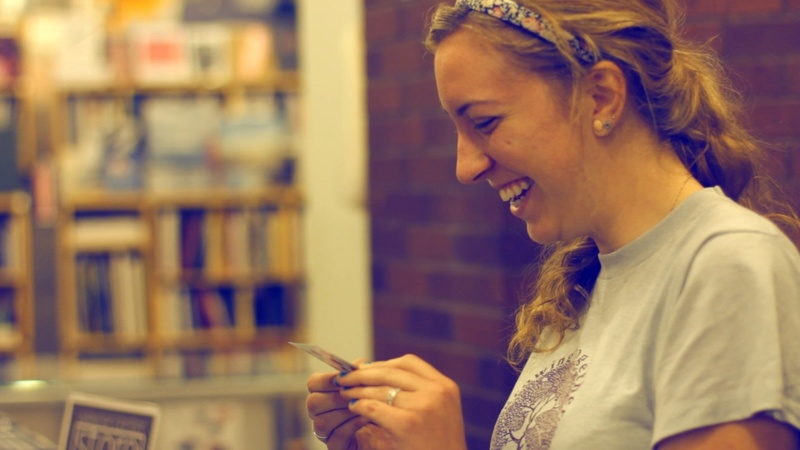 Because a name tag is a common object, anywhere a hobbyist likes to perform, they can put on a name tag and entertain and amaze people with magic. Why? because everyone has had to put a name tag on at an event and they usually forget to take it off afterwards. People see them all the time, so it's inconspicuous wherever you are. And if you are a street magician, you know the toughest part is getting people to stop and watch magic. 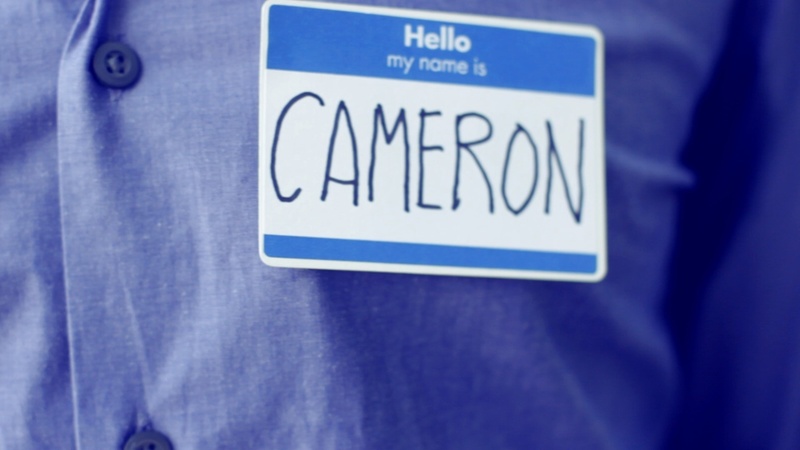 By wearing a name tag, people lower their guard because you look official. It makes it much easier to get people to stop and watch. Yea, you heard what I said. This trick did not fool me. As I was watching the demo, I figured it out and too my surprising, I was about 99% correct. Now, of course, you're all wondering why I bought the trick and even rate it 5 stars. It is very simple. This is trick might of been easy to figure out for me, but it would be very hard to come up with. Just because I myself had figured out an amazing trick does not mean it is a bad one. I purchased the effect to not only find out if I was correct but to also see the way Cameron does the effect and his handlings. And I have to say, Cameron came up with a great effect here! I have always been a fan of Cameron after I bought his 2 effects "Corner & Exposure" a year ago (which I highly recommend) and up to today, all of his effects were great and even inspired me to create tricks like his such as my trick "VisMik". I do not want you to listen to the bad reviews if they come. This is EASY and VERY VISUAL, what more could you want! I do understand that this tutorial has some flaws because he doesn't teach you a part that he said he would, but it is quite simple to understand just be thinking about it. And also the other complaints about refills, well, I understand that money can be hard to come by sometimes, but the refills for at least 100 more times shouldn't cost you more than $15 which is a lot for the price. In the end I highly recommend it and it is probably one of the best gimmicks of 2014. I like this trick I only give it four stars because there should have been more Gimmicks included, I say this because I got this trick one day before going on a cruise and I did not find the right name tags in Australia or New Zealand. But it's still worth buying. I ordered a deck of cards with my name and info printed on the back and left room for writing the name of the card, so I don't have to make any more gimmicks and people have my info on the card at the end of the trick. 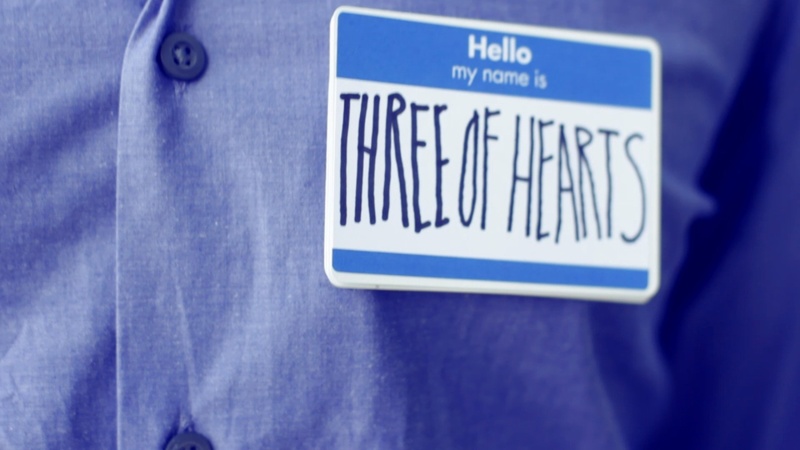 Great name tag trick that can be used anywhere, but I always use it in a party setting. It even adds a silly gag element as most people already know me and wonder why I have a name tag on. When the magic happens, it's like, HELLO! Very easy to perform. Gimmcks are a cinch to construct and Cameron does a great job of walking you through all the steps. Performance instruction is spot-on as usual. This trick is so good! I did this at a party just making the name tag instantly change and people flipped. It is very easy to do. If you do buy this I would suggest buying blank backed cards as well, as a refill. Could be better. There is some card control techniques you'll need to know in order to pull this trick off. I will be practicing them for a little while before I can perform this trick(I'm still new). If you're already a decent card handler, then I'd suggest you get this. I have watched the DVD 3 times now, trying to find the section he said he would get back to, but he never does. You get enough supplies to perform the trick 3 times, and in the DVD he says he'll show you how to make them from a regular deck, and left that part out. I don't know if this will be edited out, but I'd suggest you get a deck with white backs, before you buy this. It's been about 20 years since I've stopped actively practicing, I just started bartending and I thought it would be cool to do a little magic behind the bar. Being that we're required to have a name tag, this seemed like the perfect trick. Can't wait till I get it down.